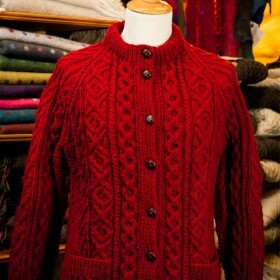 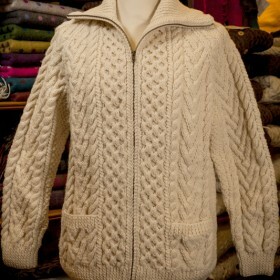 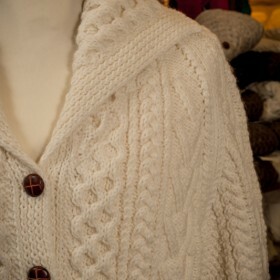 Here are examples of our aran sweaters. 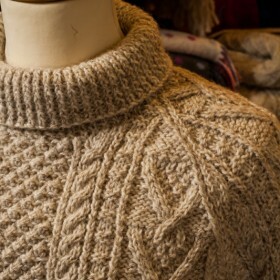 Each sweater is knitted by hand over hundreds of hours. 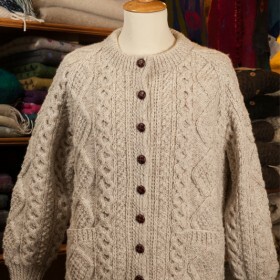 The 100% wool yarn is spun in Donegal and mailed to our knitters who knit at their homes and send the finished sweaters to us. 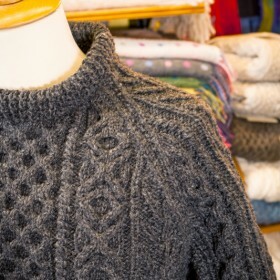 In the past hundreds of women knitted these sweaters for us, now we work with over 100 experienced knitters, sadly young people are not continuing the tradition of knitting these elaborate sweaters. 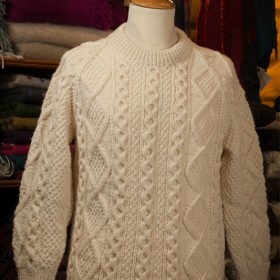 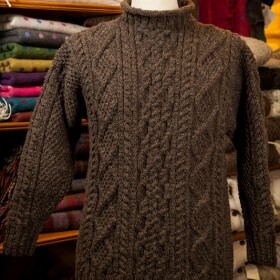 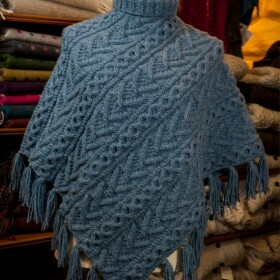 We fear that in a few more years the hand knit Aran sweater will no longer be available. 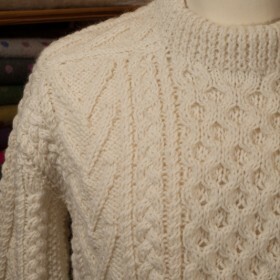 We strongly advise our customers to think about ordering now to ensure they will get to enjoy their own unique Aran sweater. 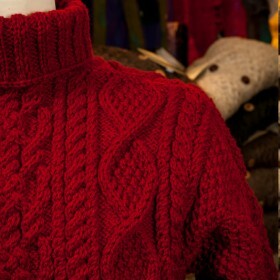 A link to our contact form can be found in each sweater description.